In reality – My parents got me a Singer 2662 for my senior year in high school, and I’ve used her ever since. (15 yrs if you’re doing the math.) Since my parents know absolutely nothing about sewing, my “Walmart Special” aka. 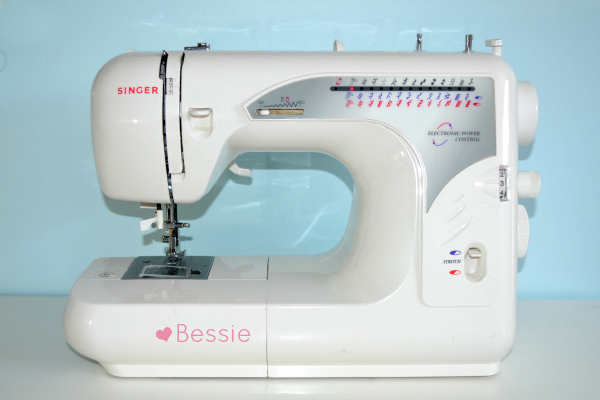 Bessie is definitely nothing special. We’ve had a good run, and made it through 4 years of Fashion Design school, the creation of this blog, and three Halloweens worth of orders for my My Little Pony costumes. All good things must come to an end though, and this past fall, Bessie’s belt started slipping. She’s been in for a check-up and will continue to be in rotation, but I figured it was also time for an upgrade. I deserve it. 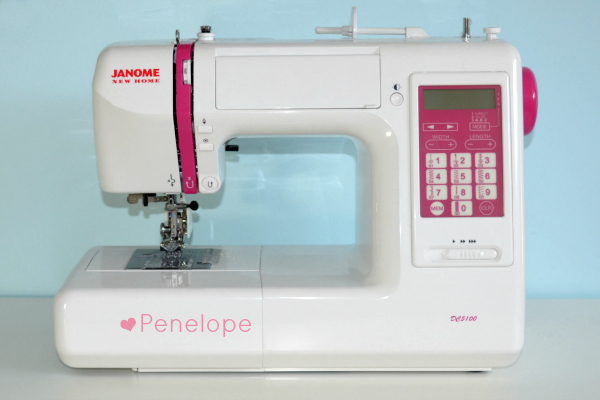 So I’d like to my newest addition – Penelope. I put her to work right out of the box on last year’s Halloween orders, so you know she was put through the wringer. It’s been such a change, but that doesn’t mean it’s all rainbows and sunshine. A new machine can be a big purchase, so here are a few other things you should know about this one. When she first arrived, my husband was shocked by how quiet and smooth she sounded after years of hearing me “Ka-chunk, ka-chunk, ka-chunk” with Bessie. 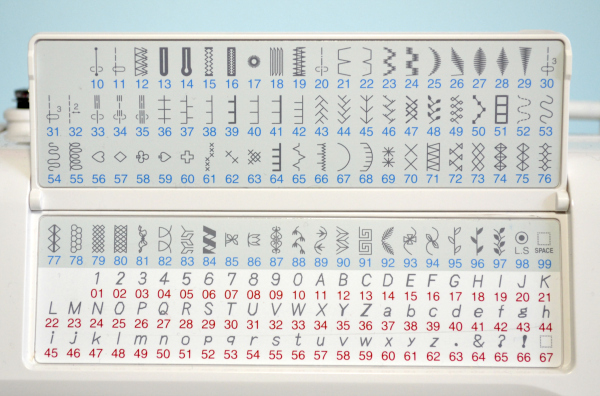 It has a MUCH easier stitch selection. That was a huge issue with my Singer, and one of the most commonly voiced complaints about the machine. I really miss the adjustable presser foot pressure of my old machine. That might sound nominal, but when you’re used to sewing zippers with striped knit fabric & matching everything perfectly, it’s a big deal. It’s kinda annoying how all the settings get reset every time I turn the machine off. Also not a huge deal, but this is my first computerized machine, and I’m used to getting my settings just right, then walking away and coming back hours/days later to finish. I’m pretty sure I can save certain combos with the memory function, but I haven’t gotten the hang of that yet, so for now I just make sure to write the settings on a post-it note before turning the machine off. This machine will tell you what presser foot to use. 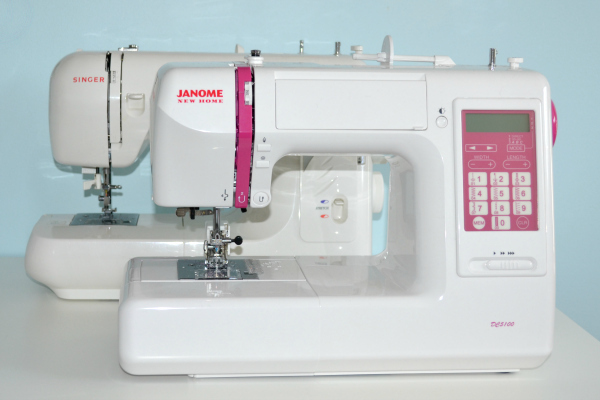 Overall, the Janome DC5100 is a very solid sewing machine. 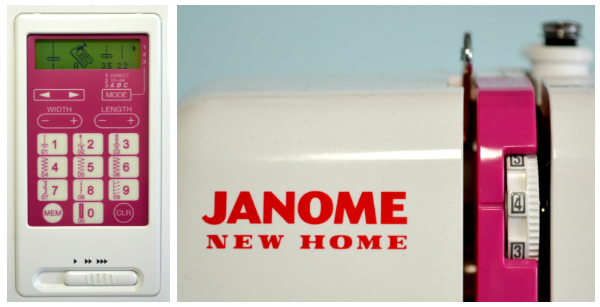 It’s perfect for folks who want to add a professional finish to their projects without sacrificing ease of operation. The DC motor makes it a heavy duty power house that can handle thick projects without bogging down, and the weight is substantial enough to hold up to larger projects but not so heavy that you can’t move it around easily. I know the $600 price tag is nothing to sneeze at, but it’s definitely a worthwhile investment in my opinion.